Get a competitive quote on outdoor advertising in the Queen City! Whether arriving in Cincinnati by land, air or water expect to be impressed with the quality and quantity of outstanding outdoor advertising choices. Cincinnati’s core metro area spans parts of southern Ohio and northern Kentucky with an estimated total area of 79.54 miles. 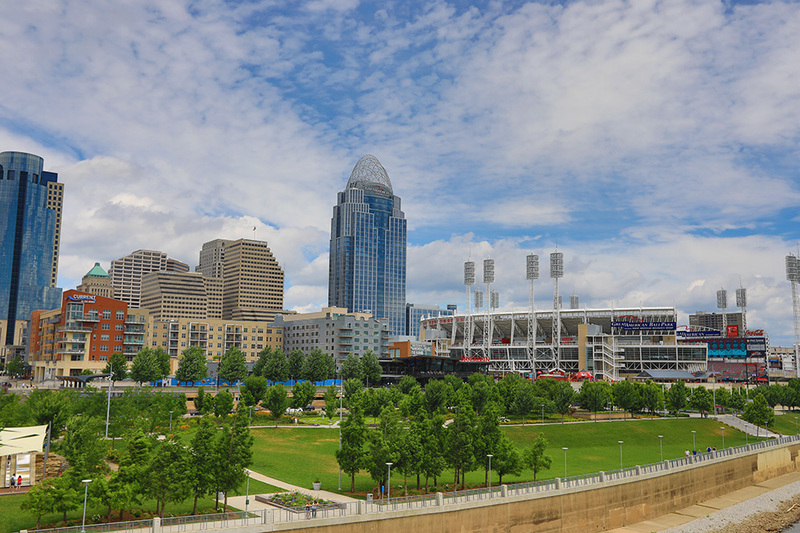 With two-thirds of the American population living within a one-day drive of the Queen City, their many cultural and family friendly venues, including the Cincinnati Reds and Bengals, drew over 24 million visitors last year. Creative outdoor campaigns on clever assets along the “Steps of Cincinnati,” as well as along Vine Street and the Interstates (71, 74 and 75) are sure to be memorable. BillboardsIn is the dominating source for creative and unique outdoor advertising options, such as digital billboards, taxi and bus stands, building facades, vehicle wraps, park benches and hundreds of more choices at economical rates. Choose a type of advertising below to learn more. Or, search the largest database of outdoor advertising options to get competitive quotes for your next campaign in the Queen City!